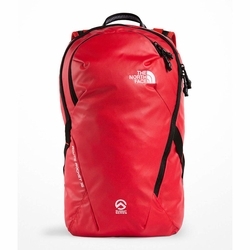 The North Face Route Rocket Backpack. Head out for full days on the wall with this rugged, durable big-wall climbing pack designed to meet your needs on multi-pitch ascents. Featuring scratch-resistant, carbon-coated Shredstop™ fabric and reinforced haul points, this lightweight pack has been athlete-tested from Yosemite to Kenya and is ready for a lifetime of climbs.